The goal of this project was to stabilize this high priority sites by reducing bank erosion and sediment transportation. 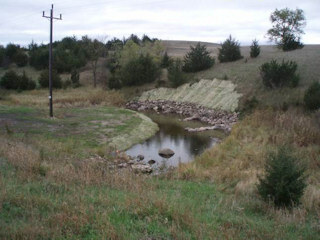 The project required some stream re-alignment along with placing rock rip rap and bio-engineering stream stabilization techniques, along with reshaping the slope and reseeding it with natives and woody material. Within the stream channel itself we constructed several stream ripple areas offering habitat and flow reduction. This project will have a direct impact on water quality due to the decreases in total suspended solids (TSS), turbidity and dissolved oxygen (DO) during heavy rain events on the upstream. This project ties directly to the Kandiyohi County's local water plan and the Soil and Water Conservation District work plan in controlling sediment and nutrient transportation. 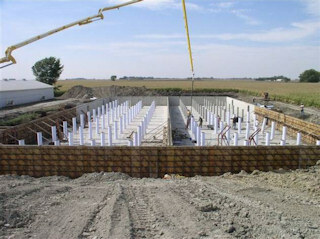 Construction of a Concrete Ag waste pit for hog manure was completed this fall in cooperation with the NRCS office and cost sharing under the Environmental Quality Incentive Program (EQIP). This pit will hold the manure from two existing hog barns along with a third barn to be constructed some time in the future. A nutrient management plan is also a vital part of this practice. The plan makes sure that the fertilizer value of the manure is not applied to cropland above agronomic rates. It is very important to the future of livestock production in our county and state to make sure we protect and improve both ground water and surface water quality and Ag Waste Pits like this one help protect both. The Grass Lake prairie wetland is located in central Kandiyohi County, southeast of the city of Willmar, Minnesota. After many years of planning and acquiring conservation easements, efforts to complete the restoration of this large, drained shallow prairie lake are now underway. 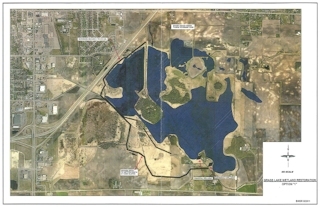 Before its drainage, Grass Lake was approximately 1,200 acres in size and up to 4 to 5 feet in depth. The western edge of the former lakebed extends into what is now the developed southeastern part of Willmar. The area of the lakebed planned for restoration is privately owned and resides to the south and east of the Highway 23/71 bypass which runs along the southeast edge of the city. 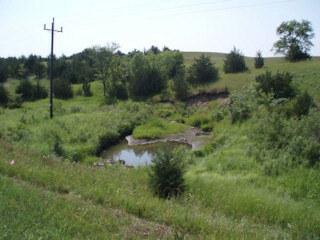 Grass Lake and its contributing drainage areas are located at the upper end of the South Fork of the Crow River watershed. Downstream of Grass Lake is a chain of lakes including Lake Wakanda, Little Kandiyohi Lake, Big Kandiyohi Lake, and Lake Lillian, all are listed as impaired waters of the state. A 16.9 square mile drainage area lies upstream of Grass Lake. Roughly 5 square miles of this drainage area lies within the city of Willmar and much of the remainder is part of the Peach Creek tributary, which is primarily an agricultural watershed located to the north of Grass Lake.